Check out Michael Kors' Big Handbag SALE happening until June 30, 2018. 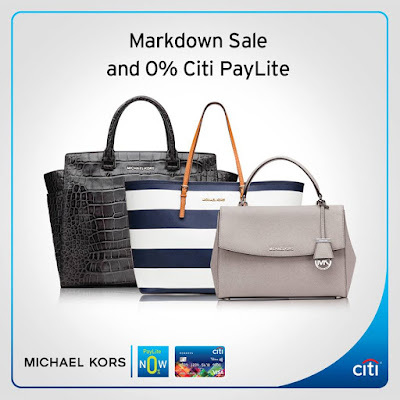 Enjoy markdown prices of up to 65% off on Michael Kors handbags. Plus, you can enjoy 0% Citi PayLite with your Citi credit card. The Promo is open exclusively to all active Citibank Credit Cardholders with good credit standing. 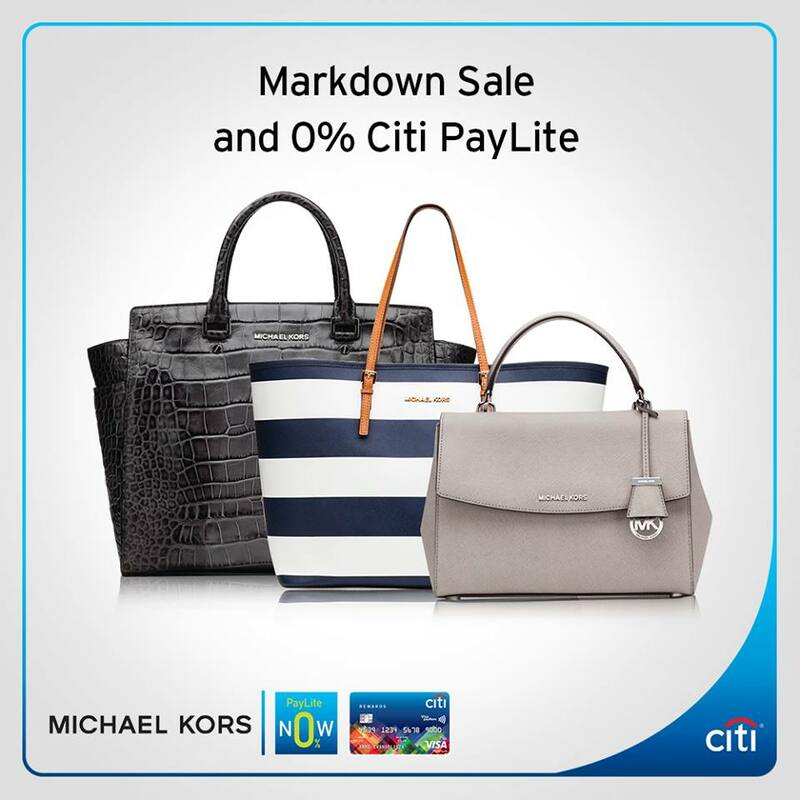 The Michael Kors Handbag 0% Citi Paylite Sale is available at participating establishments from June 15 to June 30, 2018.